You love wine, and you especially love yourself a bottle of Cabernet Sauvignon, but you definitely wouldn't call yourself a connoisseur — until now. Learning how to drink Cabernet Sauvignon like a total pro isn't hard, it just requires that you brush up on a few key facts, which is exactly what I'm about to help you do. Wine can be an intimidating subject. A lot of times, it seems like everyone else has strong feelings on varietals and vineyards, and all you want is something that isn’t going to taste terrible. It can also be expensive, and why would you spend a lot of money on something you don’t know much about? Totally reasonable. But with just a little bit of knowledge, you can march into any wine store, and feel confident in buying something that is not only going to taste good, but will make you look like you just came back from a vacation in Napa. And it can still cost less than $15! So to start learning about wine, we’ll start with one of the wines you’re most likely to come across: Cabernet Sauvignon. Here's everything you need to know to drink this wine like the expert that you are. Cabernet Sauvignon is originally from France, where the grape was a cross between Cabernet Franc and Sauvignon blanc varietals. It’s easy to grow and fairly consistent in its characteristics, making it possible for wine-makers to produce similarly consistent products. This red wine is grown in nearly every wine-producing region of the world, including California, France, Italy, Australia, and South Africa. This is where people start to get nervous. Don’t worry! 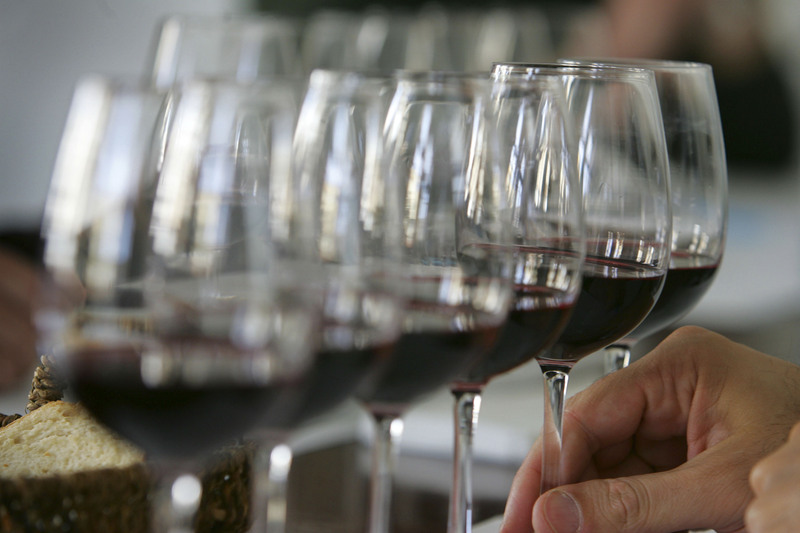 It’s easier than you think — check out this primer on wine tasting. So what should you find in a good Cabernet Sauvignon? Lots of juicy red and black fruits, like strawberries, cherries, and currants. Try to imagine the scent of a strawberry (or actually sniff one), and then smell and taste your wine. It should be much easier to pick out that flavor now. Cabernet Sauvignon can also be quite tannic, or drying to your mouth, especially with less expensive bottles. Look for one that’s balanced, and doesn’t leave you feeling like the Sahara. Since it’s such a popular varietal, you can easily find Cabernet Sauvignon at all price points. For under $15, try Hahn Winery’s Cabernet Sauvignon, which is ripe and round with lots of jam notes ($12). A nice mid-range bottle is San Simeon 2010 Estate Reserve Cabernet Sauvignon, which has notes of dark chocolate, violet, and plum ($25). And for a bit of a splurge, try Newton Unfiltered Cabernet Sauvignon, a rich, full wine with notes of mulberry and cedar ($60). Cabernet Sauvignon is a fairly bold wine that could easily overpower more delicate flavors. While it’s traditionally paired with red meat, that shouldn’t limit you. Anything with a strong, earthy flavor will pair well with this wine: think mushrooms, olives, strong cheeses, or even strong umami flavors like miso. Need a little inspiration? Here’s a meal that will go perfectly with this food-friendly red. For more wine ideas, check out Bustle on YouTube.